The Woodstock Byrdcliffe Guild’s 16th Annual 5 by 7 Show launched Friday, December 4, with a catered champagne reception and preview party at the Kleinert/James Center for the Arts from 5:00 to 7:00 pm, one of the most exciting art events happening in Woodstock each holiday season. All work submitted is restricted to 5 inches by 7 inches in size and is exhibited anonymously, a playful way to give an equal voice to all and showcase the talent of our members side by side with that of the international art world community in our midst. 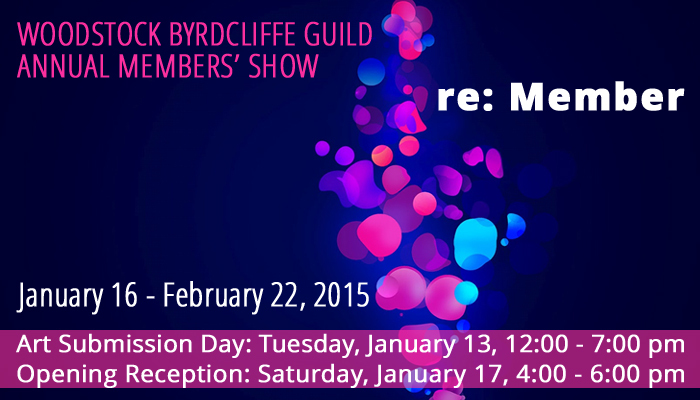 This is a major fundraising event for Byrdcliffe, and by contributing and/or purchasing a small work you will help support our exhibitions program. This year, we have received more than 375 works, a new record! We are very grateful to all participating 5 by 7 Show artists for their amazing creative generosity. 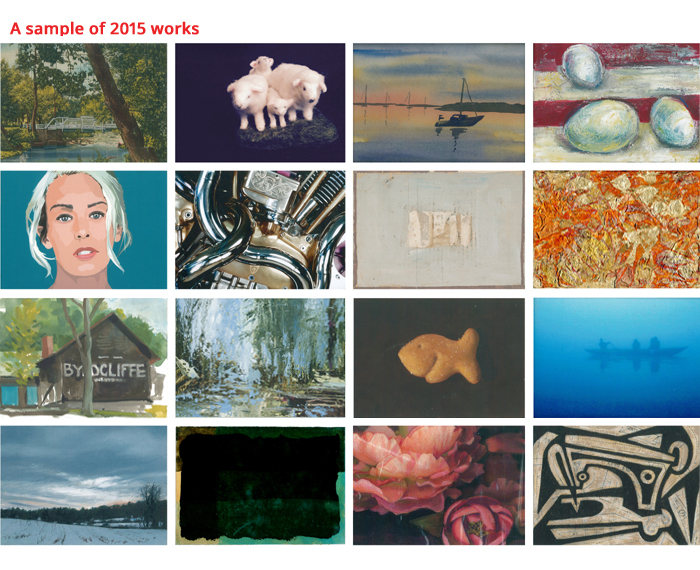 The 2015 Annual 5 by 7 Show is proudly sponsored by Karen and Les Walker and ARTSYSTEMS. The food at the Preview Party will this year be provided by Shindig from Woodstock. Left: Simi Stone. Photo Dion Ogust // right: Still from Brooklyn Roses, directed by Christine Noschese. Erica Magrey, video still from Own This, 2011-13. 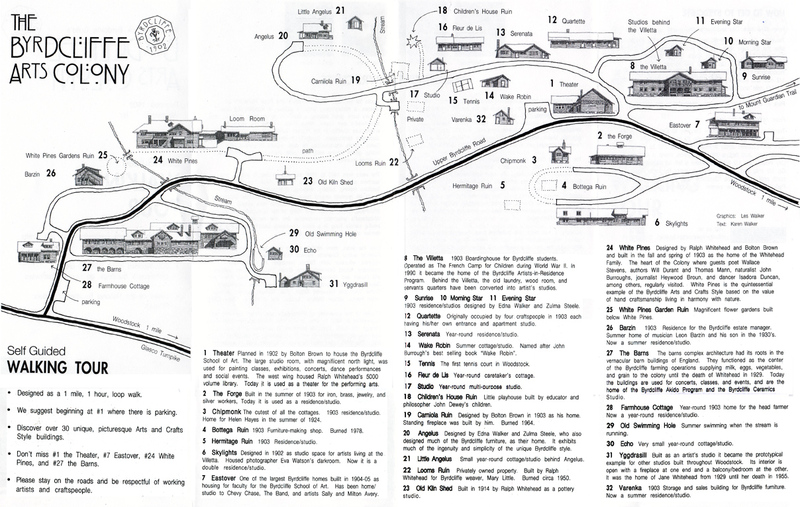 Read an article about the “Music in the Woods” exhibit in the July 23 issue of the Woodstock Times. Konrad Cramer, Portrait of Hervey White. Silver gelatin print. Maverick Festival Collection, Woodstock Public Library. We thank the following sponsors for their support: George Baird III and Erica Obey; Susan Spencer Crowe; The Five Partners Foundation; and Carole and Robert Kunstadt. 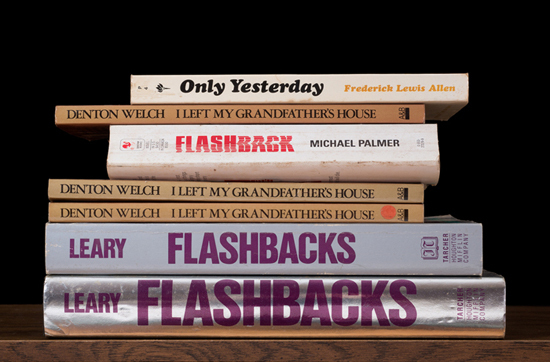 Nina Katchadourian, “Only Yesterday,” from Kansas Cut-Up, 2014. C-print, 12.5 x 19 inches. Courtesy of the artist and Catharine Clark Gallery, San Francisco. At 98 years of age, Manuel Bromberg continues his life’s work. 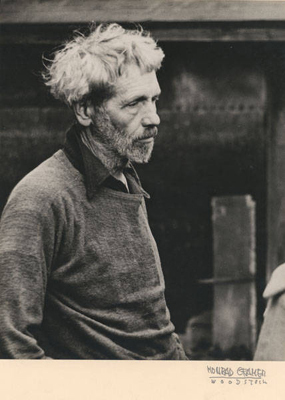 He is a painter, muralist, sculptor, and influential teacher whose distinguished career spans three quarters of a century. From New Deal muralist to decorated World War II artist, from award-winning painter to pioneering creator of monumental cliffs, Bromberg has been unswervingly loyal to his own sensibilities. He defies category or the restraints of a single style. Read an article in Roll Magazine about Manuel Bromberg’s exhibit! 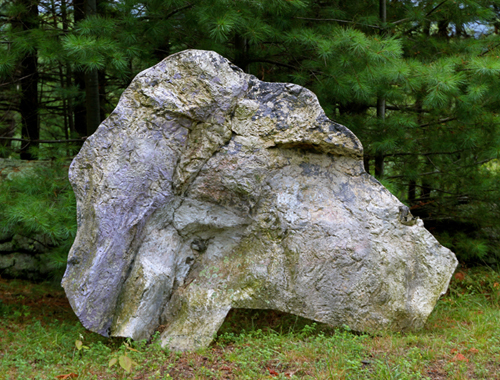 And, another great article about Manuel Bromberg’s cliff sculptures in the Woodstock Times! Manuel Bromberg, Catskill II. Fiberglass, polyester resin, wax, marble dust. 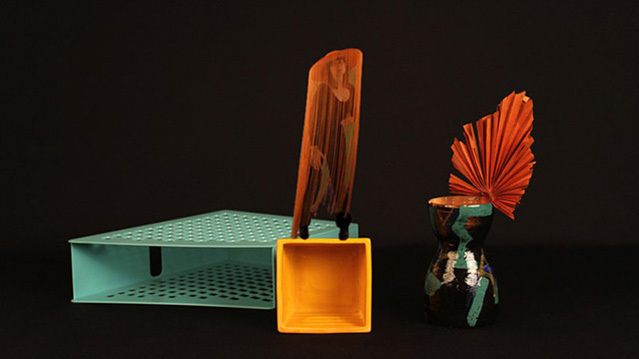 The exhibition includes the artwork and influential “stuff” of: Kamrooz Aram, Black Lake (Susan Jennings and Slink Moss), Dike Blair, Tim Davis, Gail Fitzgerald, Dana Hoey, Alix Lambert, Miranda Lichtenstein, Cameron Martin, Carl Ostendarp, Alexander Ross, Peter Rostovsky, Lisa Sanditz, and Matthew Weinstein. 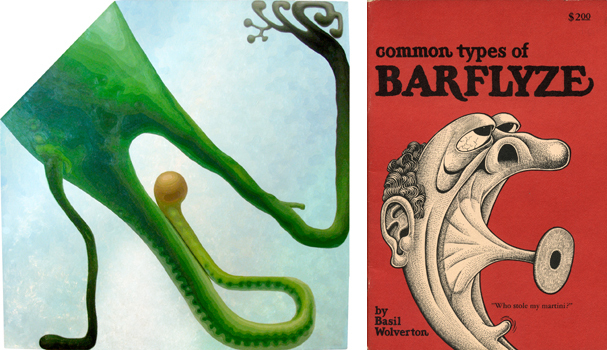 Left: Alexander Ross, Untitled, 2001, oil on linen, 39″ x 39″ // right: Alexander Ross’s copy of Barflyze, a comic book by Basil Wolverton. All 2015 Byrdcliffe arts programming is made possible by the New York State Council on the Arts with the support of Governor Andrew Cuomo and the New York State Legislature. Our exhibitions program is made possible in part through support from the County of Ulster’s Ulster County Cultural Services & Promotion Fund administered by ARTS MID-HUDSON.